Asvape Touch pods are refillable pods for the Asvape Touch Pod Kit, an innovative touch screen vape kit. Each refillable pod has a resistance of 1.6ohm and a 1.5ml nic salt juice capacity, perfect for smooth MTL hits. Touch Pods by Asvape come in a pack of 3 pods. 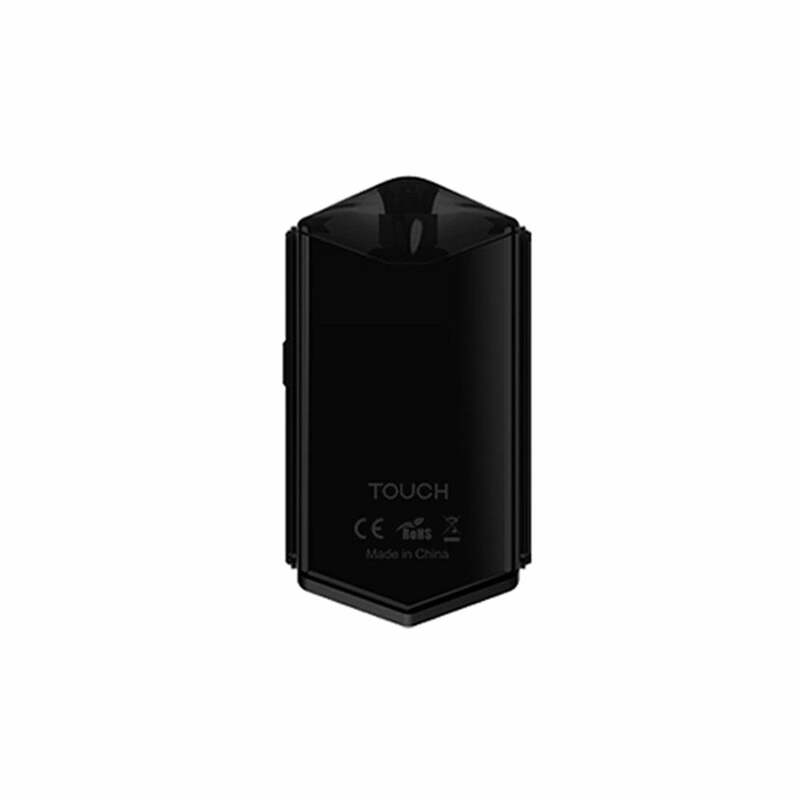 The Touch by Asvape is an innovative pod mod with a touch screen interface that allows you to monitor your vaping data and personalize the way you vape. Using the 2.0" color touch screen you can monitor information like your total puffs, total vaping time, or how many more puffs you have, the Touch recording all of your vaping data intelligently. You can also adjust your Touch Pod Kit in order to get a better flavor and feel from your vape juices by using the three distinct power modes: strong, standard, and soft. Personalize your touch farther by adding your own background photo to your Touch to be your screensaver! The Asvape Touch has refillable pods with a 1.5ml nic salt juice capacity and a 1.6ohm resistance which makes them perfect for vaping smooth MTL hits all day long. Remember to prime your coils for 3-5 minutes before vaping in order to prevent burning and to prolong the life of your pod. The Touch by Asvape is the latest and greatest thing is pod mod technology, available in six colors! Cool concept. However, the pods could definitely use some improvement. The flavor is good initially, but the draw is very warm since the terminal is so close to the mouthpiece and it seems like the liquid doesn't feed through the pod quick enough to fuel the pull when your hitting it due to the design of the pods causing dry (or pretty much burnt) hits after short periods of use. Not sure if I'd recommend this over the other pod systems out at the moment, but I will say that the touch screen is super cool.